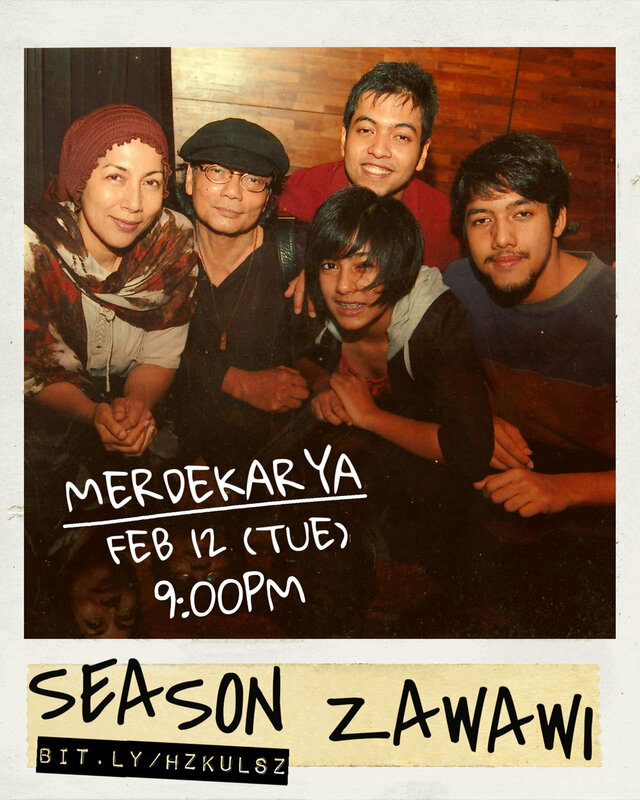 Its been 7 years since the Zawawi family has been back in our home country Malaysia, and we’re celebrating it with a show at good ol’ Merdekarya (KUL). Come catch up with the family and I while we’re still in town! RSVP here. 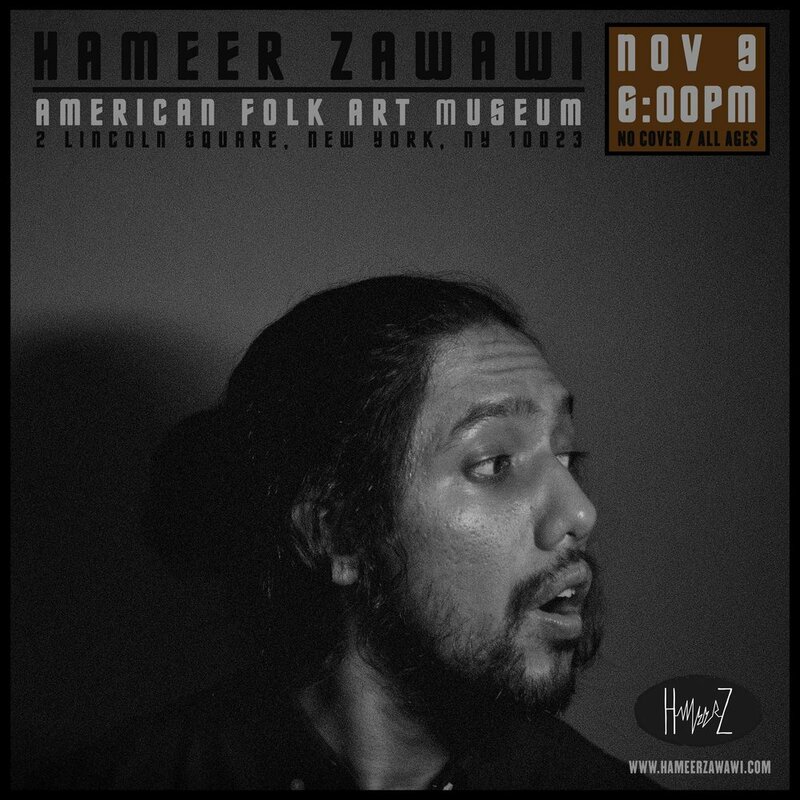 Will be going solo acoustic at the American Folk Art Museum (NYC) this NOV 9 @6:00PM. Time to summon the introvert in me! RSVP here. We’ve been hard at work recording, composing and experimenting with new arrangements. Come catch us next week OCT 1 with our new bass player and hear us in our current state of affairs. RSVP here. We're back in New York City! Come catch our first 2018 NYC show at The Bitter End this AUG 9. 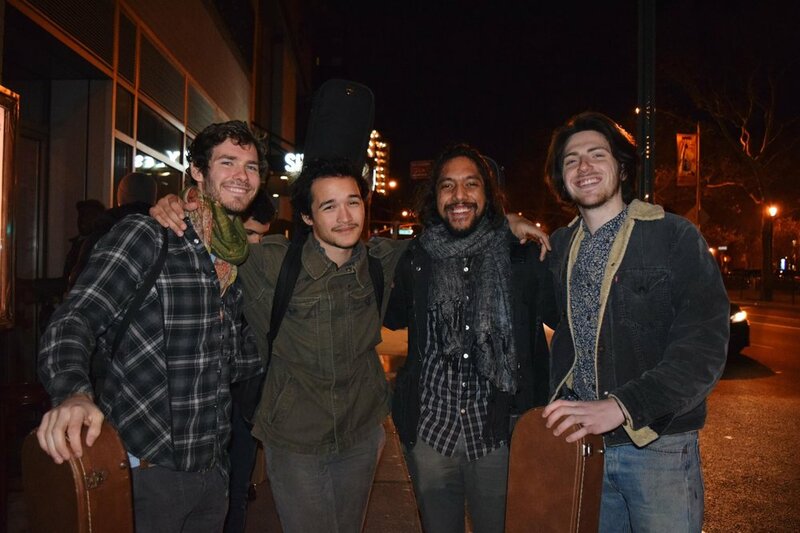 Hear the band as we progress through a maturing transition from "Theatrical Folk" to "Progressive Folk Rock". RSVP here. My 2017 collaboration with Voices In Your Head and Playspace Live (Kuala Lumpur) had just received 2 awards. Here's mine! Read all about it here. Cambodia here I come! 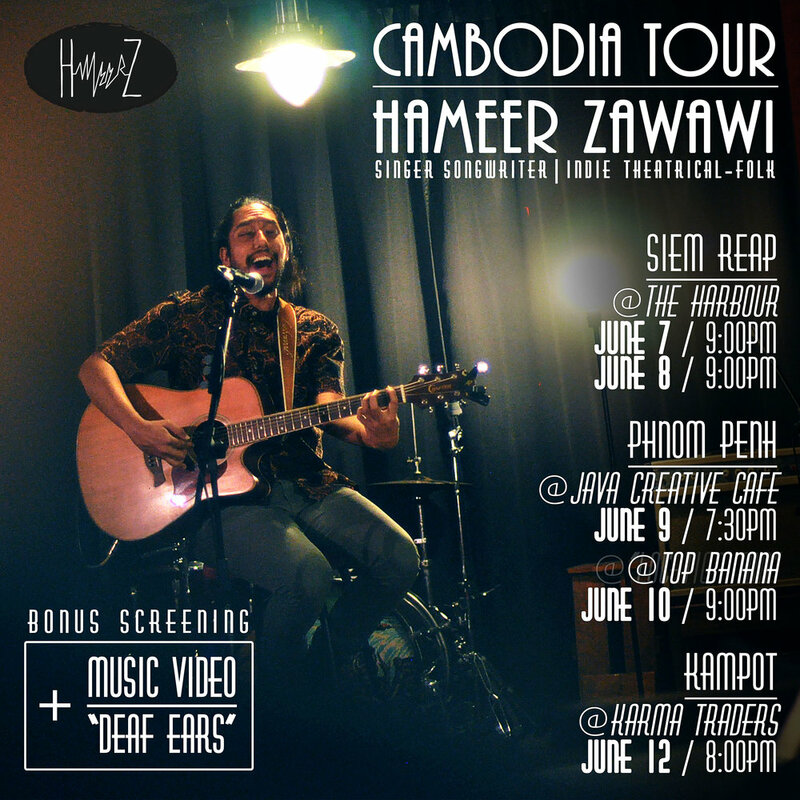 This JUNE I'll be touring with shows in Siem Reap, Phnom Penh and Kampot. There will be bonus screenings of the Deaf Ears music video in selected cities. DEAF EARS is a song about non-conformity, breaking away from the chains of our puppeteers. Watch it here. The band will be touring Malaysia for the whole month of APRIL to promote our latest EP "Plug Out The Machines". We'll be playing shows in Kuala Lumpur (KUL), Johor Bahru (JHR), Kuching (SWK) and Georgetown (PNG). 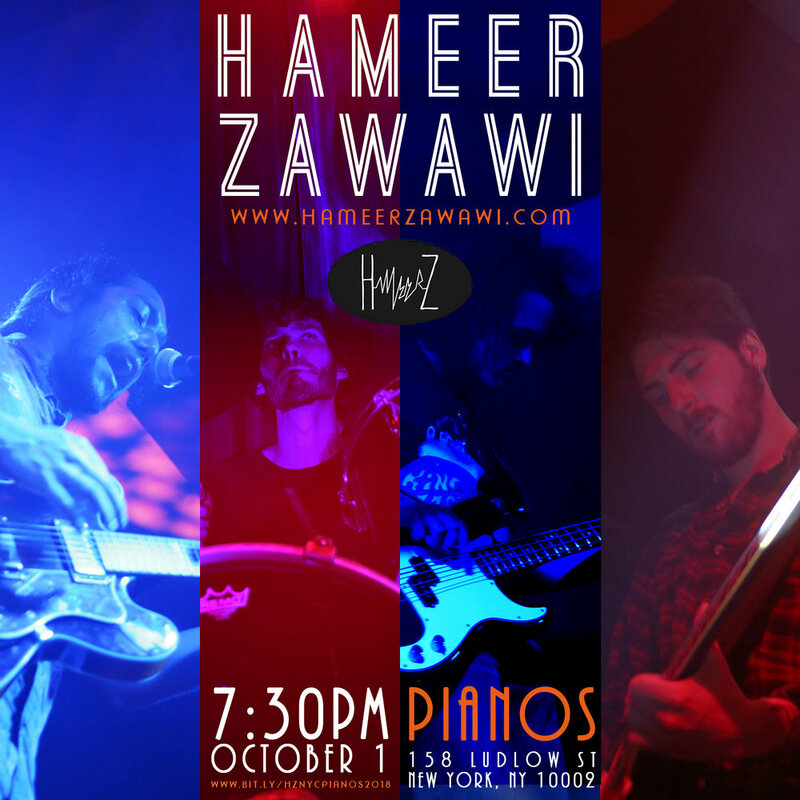 Dates and RSVP at bit.ly/hzpotmtourmy.